Barkat at work in her studio. Credit: Photo by Tor Ben Mayor. 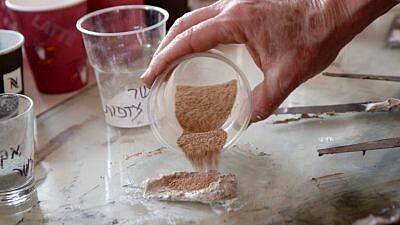 Pouring the fine granules. Credit: Photo by Tor Ben Mayor. 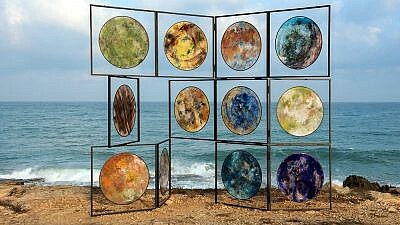 The final product: Twelve circular paintings on translucent PVC, Achziv beach, Israel, as part of “After the Tribes.” Credit: Photo by Michael Amar.